Callisto Review – A Great Coin to Mine and Hold? Note: I have been asked by Callisto team to review this project. That being said, I would probably have reviewed it anyway because it does look promising and legit. Anything expressed here is merely my personal point of view and should not be taken as financial advice. In this article, I will talk about Callisto – a project that is quite an interesting opportunity for miners and investors alike. After the overview, I will analyze how profitable is to mine and invest into this new project and its respective coin. There is also a continuation where I guide you step by step on how to set up your GPU(s) to mine CLO. Callisto is a recent Ethereum Classic airdrop. It has been created with a purpose to be a reference implementation of a self-sustaining, self-governed and self-funded blockchain ecosystem and development environment. In other words, the one of the main raisons d’être of Callisto is to be an innovative network that implements experimental protocols. The final goal of this project is to raise the security bar by successfully defining and standardizing cold staking, governance system and a development funding mechanism protocols based upon smart-contracts. This reference implementation should show how to do that and encourage others to create their own implementations. Ideally, the protocols, governance system and tools developed by and tested in Callisto might help to prevent smart contract hacking thanks to an ecosystem with official smart-contract auditing department of CLO & ETC. You have probably heard of the DAO hack where $50 million USD worth of Ether has been lost, the Parity Multi Sig Wallet Hack (~ $300M of losses) and the Parity Freeze (~513,000 ETH). Those incidents show us how vulnerable smart contracts can be when not programmed properly. Callisto is being developed as a means to help prevent similar cases from happening again – independent security contract auditions should help developers to create fool- and hack-proof smart contracts. Besides that, there is also an option to host the smart contracts directly on the Callisto Network Blockchain. Who does pay those auditors do to the work? The Callisto Security Department is funded by the Callisto Network, meaning that smart-contract developers and development teams do not have to pay a penny to enjoy the services of the Callisto Security Department. This looks like an ambitious project, so my question is – is the team behind Callisto qualified enough to do what they have planned? As usual, before even bothering reading the whitepaper I have checked the legitimacy of the Linked In and Github accounts the Callisto website provides. According to my research, the people behind Callisto are real and their LinkedIn/Github accounts confirm their association with this project. There are nine people behind Callisto. They belong to the Ethereum Commonwealth team and are quite well-known in the Ethereum Classic community. Callisto team looks very well-rounded – apparently they have the specialists they need in order to meet their goals and milestones. For example, one of their team members, Yuriy Kharytoshyn, has been assigned to develop the Cold Staking Platform. The platform is being written on Solidity and Yuriy’s Github shows that he has worked with that language before. The most notable member of this project is Dexaran. Dex is the man who has created the ERC223 token standard. It has been an Ethereum smart-contracts developer since its first days and he is the founder of the Ethereum Commonwealth. Dexaran the CEO and Security Engineer of the Callisto project. Another name I guess I should mention is Yohan Graterol. Yohan is head of product for Platzi and an active contributor to Mongoengine, Fedora, Viper (Ethereum Language) and ClassicMask (MetaMask port). Since Yohan is from Colombia, his main LinkedIn profile is in Spanish, though there is also an English version available that briefly summarizes his experience and education. Unlike most other projects, Callisto team includes a dedicated documentation writer, a community manager, a head of community, as well as a head of social media and a marketing manager. Apparently, Callisto is taking social interactions very seriously, which is a good sign if you ask me – There are more than a dozen projects that have failed because of a lack of proper community management and marketing. Hopefully, this will not be the case of Callisto. Q1 of this year, the snapshot took place and ETC holders were rewarded with CLO 1:1. The same month, Testnet 2.0 was launched and the team started to research the possibility to implement POS and DPOS protocols. In April 2018, the mainnet got launched together with the blockchain explorer. That same time period the marketing team got recruited. They have also received a wide array of wallets, mining pools and exchangers to choose from. Their next step was the formation of the security department. The protocol is written in Solidity, a smart-contracts programming language. Cold staking is the next big step that is planned for Q4 of this year and the actions that are being done now are required to make this happen. The end of this year should be quite an exciting time for Callisto since Cold Staking should go live and a new department of security is expected to be formed that will work on the EOS blockchain protocol. The next year, the team expects to start working on interchain operability, decentralized file strorage and Security DAO and Cold Staker’s Codex releases. By the end of the next year there is planned to be another hardfork to implement on-chain governance system. I know that not everyone is a fan of on-chain governance, which is why I believe it’s a good idea that you look at the roadmap to know what to expect from the evolution of this project. So far, the devs have been meeting the deadlines. You can find the detailed roadmap here. While Callisto might be an interesting project for a programmer and crypto developer, all I think about is mining profitability. We can agree that Callisto is a project that has got a real purpose, which is why there is a chance that it is not dying anytime soon. This alone makes me interested in mining CLO – most of the time, mining and holding a coin for several months pays off the best. If a project is alive, the price of the related coin will eventually go up one day, resulting in more profit for the miner. Callisto offers two ways of mining their coin. The first way is by using a GPU mining rig – we can do it the same way we’d mine ETC. Personally, I think claymore is the best miner for this coin. Check this guide for a step by step tutorial on how to mine it using a CPU rig. The second way is the most interesting one. Callisto features cold staking, which allows you to basically freeze a part of your CLO and turn them into passive income. ‘Cold staking’ is a slightly misleading name – it is not related to Proof of Stake or a consensus mechanisms. Instead, it is as simple as I’ve already mentioned – it is a mechanism that allows you to lend part of your funds to the network for a reward. The funds are being locked for a fixed period of a month (or more, depending on your preferences), after which they are released back to you together with the rewards. From what I’ve seen, Cold Staking is pretty much a unique feature. Unlike masternode hosting, cold staking offers way better flexibility and does not require an investor to have prior tech knowledge to start earning. Cold staking will be launched in about 80 days. While until then a lot can change, I will share with you some numbers we have got today. After all, if the project is useful and needed, there is a good chance that the price of its token will raise over time, making staking and mining even more lucrative than it is now. As for today, Cold Staking looks very promising. Say, if I invest/freeze 100k CLO ($700 USD), my reward would be $100 USD per month in average. This is of course considering today’s coin prices with 50% of total supply in the staking pool. Moreover, considering today’s market situation, GPU mining CLO is way less profitable than staking. Let’s say I want to use a GPU mining rig with 6 RX 580 8GB that can mine the coin at 190 MH/s. If I want to build it from scratch, that’s a $3500 USD upfront investment. What are the chances of those numbers to remain like this or even become more interesting? On one hand, we have a working project that is being actively worked on. If all goes well, the demand on Callisto will increase, positively affecting the price of the coin. Let’s also not forget that cryptocurrency markets are not having their best days now – Most coins, including the newer ones like Lux and the older ones like Nexus keep going bearish; Monero is slowly recovering from what happened in the beginning of the month; Ethereum is closing in to the price it used to have in April of this year. Considering today’s market situation, it’s no surprise that CLO is not exactly bullish either (even though it started to recover two weeks ago). That being said, I’m not 100% certain if the global crypto market situation is the exact cause for that price drop; markets change and hopefully we will see how things really are soon. If you are interested in giving Callisto a try, you might be wondering why even bother mining this coin if cold staking proved to be more lucrative. The answer I am about to give might seem a bit obvious to those of you who are more experienced in mining, though I hope it will give some value to those of you who are newer to the scene. First of all, POW mining is what keeps the network running. The rewards from Cold Staking are nothing more than a part of all mined coins being distributed among stake holders. This means that miners are those who keep the show going and Callisto team is obviously aware of that. This means that they are quite motivated to keep miners interested in mining CLO. Now, is cold staking bad for us, the miners? It takes part of our mined coins and gives it to people who don’t do a lot to support the network, right? Well, not really. One of the raisons d’être of cold staking is to reduce the amount of people who would pump and dump their coins. The option to freeze the freshly acquired coins might make the CLO market more stable. Market stability is usually what keeps mining profitable, so I could speculate that once implemented, cold staking will benefit us miners too. The other argument I can find to explain the implementation of cold staking is that no one prevents us miners from staking our freshly mined funds. In fact, those of us who are mining today will probably have a decent amount of CLO to stake once the hard fork takes place in November. This means that staking might be more profitable for miners than for those people who buy their coins. Again, most of the above are my own conclusions and I invite you to share your thoughts in the comments section below. If all goes as planned, Callisto as a project might greatly improve the security of the global crypto ecosystem. As a coin CLO might be a good one to mine and hold. The hard fork should happen in about 80 days from the day this article has been posted, after which Cold Staking might become a great addition to mining. 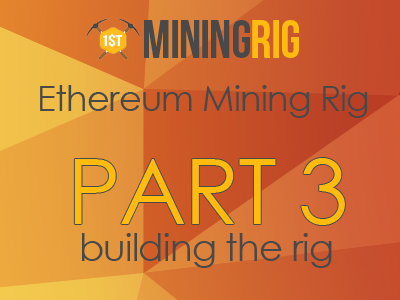 Antminer Z9 Review – Should You Preorder ? Luxcoin Review – Is LUXCOIN the New Best Coin for Mining and Investing?